CELTIC fans brought shame on the club last night after ripping up seats a rivals’ ground then daubing them with offensive IRA slogans. 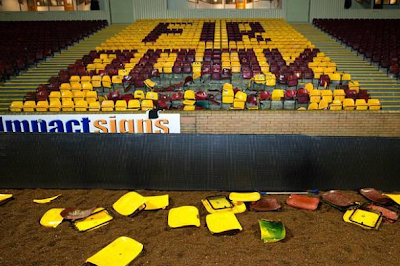 Yobs rampaged through the South Stand at Motherwell’s Fir Park ground. During the match dozens of seats were ripped up, metal frames bent out of shape, 18 smoke bombs, three fireworks and a flare were let off and IRA slogans left on chairs which were covered with stickers from the controversial Green Brigade. 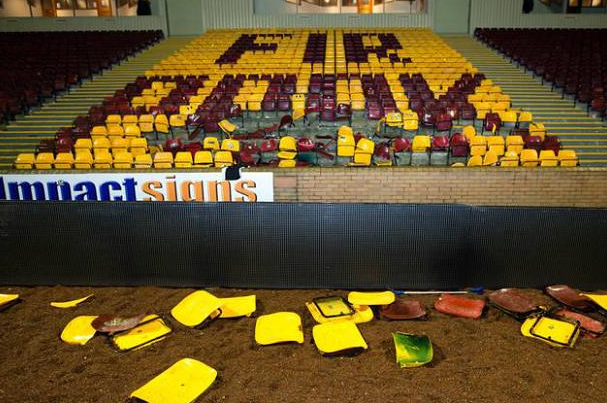 F*** you Lawwell — a reference to Celtic’s Chief Executive Peter Lawwell — was scrawled on another chair. 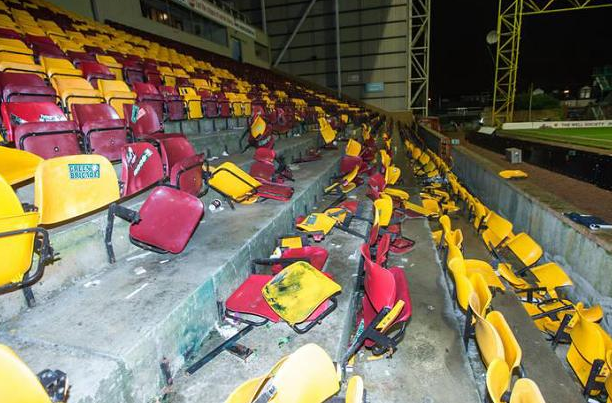 Scottish Professional Football League and Celtic security delegates were inspecting the damage. Celtic — who won the league match 5-0 — are subject of a UEFA hearing after the Green Brigade unfurled banners depicting William Wallace and Irish hunger striker Bobby Sands before November’s Champions League tie with AC Milan.